The Cheasty Greenspace/Mt. 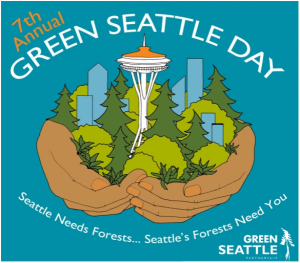 View is a host site for the upcoming Green Seattle Day on Saturday, November 3. Neighbors and friends of the Greenspace are invited to participate in this special volunteer event. Volunteers should meet at 9:45 a.m. Saturday morning at 2809 S. Alaska Place, one block west of the Columbia City Link station. The work party will run from 10 a.m. until 2 p.m., with a noon break for lunch. Tools and gloves are provided; please bring your own lunch, water, and a snack for the community snack table.